How can I view the history of an expense? How to see the history of an individual expense. 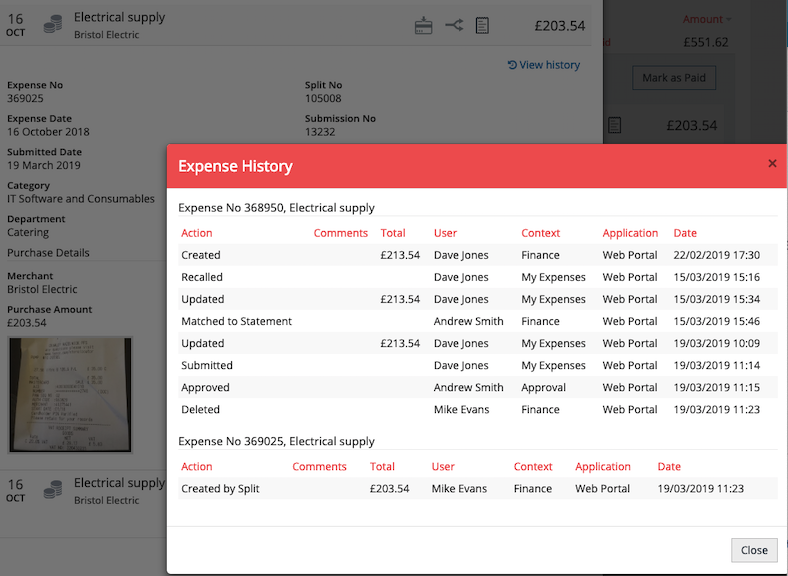 View history of an expense by clicking on the expense to expand to see the expense details.